by the end of the show I have no respect for the narrator. we all heard what happened. if Manny is guilty of anything it's doin ANYTHING to get Innocent people exonerated... and the law hates it poor folk ain't got a chance. Great! Not only a good show, but a great work.! Kickin Ash I haven't even finished it yet but had to take an emotional pause. This episode is intense! and yes so good! Manny Gomez is a detective straight out of a detective novel. He carries a pen that’s really a knife, wears a watch that’s really a camera, adores Sherlock Holmes and Miami Vice. But the cases Manny takes on are all too real: cases of young men in New York City who say they’ve been arrested for crimes they didn’t commit. In the first season of Conviction, reporter Saki Knafo follows Manny as he tackles the biggest case of his career—and along the way, Saki explores big questions about criminal justice in America. 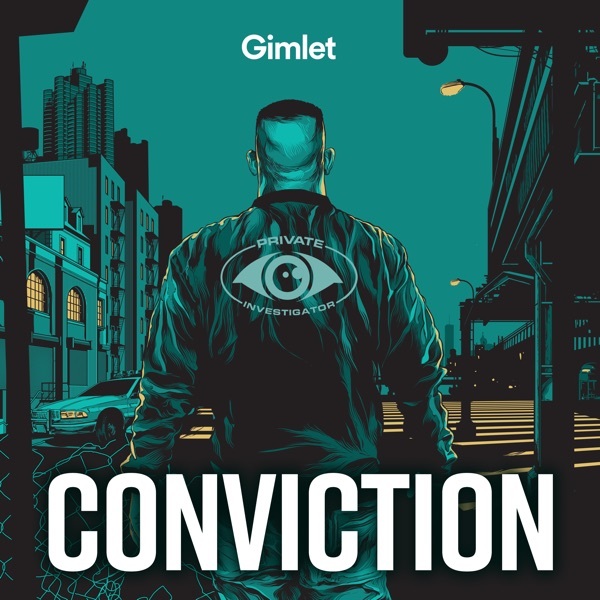 This story is the first in Gimlet Media’s Conviction series, which will feature a new piece of investigative reporting each season. Hear all the episodes on February 4th. Private Investigator Manuel Gomez takes on the biggest case of his career: the case of Pedro Hernandez. Pedro gets pushed to take a plea deal. Manny goes on a quest to find the one young man who can free him. Manny meets a key witness. Saki meets Manny’s nemesis. Terrell believes that Manny and his clients are out to destroy his career. But they aren’t the only ones sounding alarms about Terrell. Manny’s quest to free Pedro isn’t just about justice. It’s payback. Manny takes some big risks that could get Pedro’s case dismissed—or could get Pedro into even deeper trouble.